When I wrote An Outlaw Makes it Home, I had written several other books but nothing this personal. Since I have never read any advice on writing a memoir, these tips are only from my own direct experience. In my 20s, after an amazing set of adventures in the 1960s, I orally told my stories as a way of seduction. I was a good story teller and became better after we smoked a joint together. But those stories were casual, episodic moments without a coherent core. When I was 60 and facing death from an incurable blood and bone cancer, I reflected on what I would like to leave behind after I died. While undergoing chemotherapy and stem cell transplants, and confined to my bed, I wrote Songs of Freedom, a poem that encapsulates everything I had realized and wanted to pass on. A few years later and back on my feet, I was leading a silent retreat in Amsterdam when my memoir An Outlaw Makes it Home poured out of me. Between meetings, into the night and early morning the stories flooded on to the page. But now they were framed in a different light. They were no longer personal tales while at the same time I was being much more personally exposed, with deeper insight into my character and flaws. Every memoir is a story and each one of us has our unique story that we tell ourselves and call, “my life.” Since we each already have a story with ourselves as the star, why would we want to read someone else’s? The first essential question that has to be answered is why you are writing a memoir in the first place. If it is to tell your version of your life and those you’ve met, why would it be compelling? What is the larger context that your personal story points to? What is the larger view of self and life that would be revealed as you reveal yourself to the world? If your story is held as a teaching story, what is the lesson we will learn without ever having that lesson mentioned explicitly? Once you have the frame the story will flow to meet it’s contours or perhaps overflow itself. Since a memoir is our subjective version of reality, and we are the stars, the tendency is to propagandize ourselves and blame our upbringing or outside forces for our shortcomings. The real challenge is to reveal the depth of oneself from the surface all the way in. In my memoir I open with a crucial moment in my childhood. Many facets of myself crystallized in that moment, one of which was that I realized I was a coward. This revelation carries the under-beat of the story as I am confronted with dangerous, life-changing, circumstances. I have been surprised at the positive feedback I have received for my honesty. I could see no other way to tell the story. However, it took me many years of reflection until I saw this cowardice in myself. I had tried to write my story several times in the past but I was not ripe enough or mature enough to explore my own deficiencies and how they defined me and tested me. What will the reader take with them from reading your memoir? A good, compelling story, very well written, of course is a must. But what will they be left with? How many books have we all read, enjoyed and never considered again? How to engage the reader in a way that she or he is inspired in some way? I mentioned using your life as a teaching story in the first point, but what does that really mean? No one else will ever have another’s experience – in this we are completely subjective – yet there is something universal in our experience that we share with each other and that inspires us in others. Be that inspiration and your story will live on in hearts long after the last page is turned. 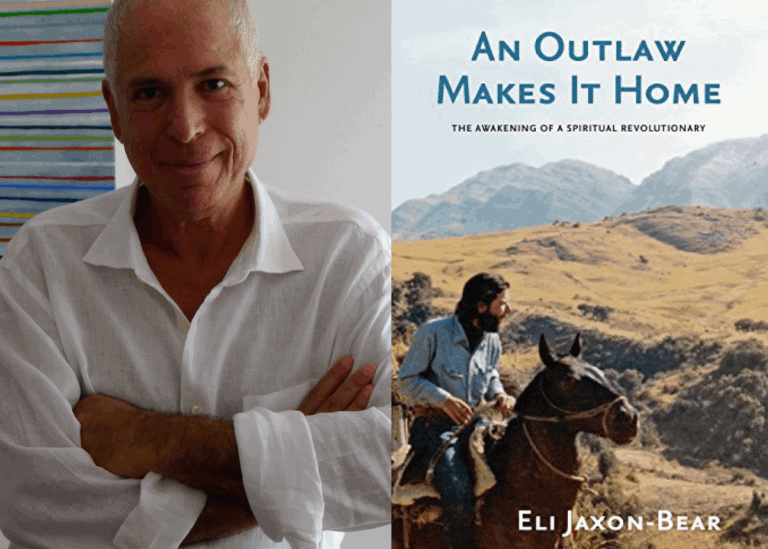 Eli Jaxon-Bear is the author of An Outlaw Makes It Home, Wake Up and Roar, Sudden Awakening, and Fixation to Freedom. He has worked as a mailboy, dishwasher, steel-worker, teacher and organic farmer. He was a community organizer with VISTA in Chicago and Detroit before entering a doctoral program at the Graduate School of International Studies in Denver, Colorado. He has been living with his partner and wife, Gangaji, since 1976. They currently reside in Ashland, Oregon. Eli meets people and teaches through the Leela Foundation. For more information, please visit https://leela.org and follow the author on Facebook and Twitter.